The Untitled Amazing Jonathan Documentary is the story of two desperate men; one is trying to leave a legacy and the other is trying to create a legacy through his art. Its an extremely meta film that’s also self-aware and downright hilarious. Writer/director Benjamin Berman takes us on what eventually becomes a personal journey of how far one would go to leave a mark in the world. The doc starts out as a portrait of comedian/magician John Edward Szeles who goes by the stage name The Amazing Johnathan. Stock footage shows his zany comedic style of performing magic and illusions and rising to the top of his industry. In 2014, Szeles is hit with devastating news that he only has a year to live, but three years later he’s still alive. Enter Benjamin Berman who reaches out to him to document his life and is granted access. Szeles decides that he wants to do a farewell tour as The Amazing Johnathan. Things run smoothly, until suddenly Berman and his team are made aware that another film crew will be shooting the same event to document The Amazing Johnathan. Things continue to spiral out of control from there as Berman learns there are even more documentary crews covering the person he’s dedicated so much time and effort towards. The film merges into somewhat of a hunt to solve a mystery as Berman worries about the outcome of his documentary and whether he should continue. It doesn’t help that Szeles is extremely apathetic about it all. As Ben dives deeper into trying to salvage his documentary, he also begins to unravel; he takes questionable steps to make sure that it is created and even questions the truth of the ultimate prankster’s death sentence. The editing in the film is remarkable and your hat has to be tipped to editor Scott Evans. From the opening scene in the documentary you can tell that you’ll be on a self-aware joyride. Nothing is off-limits for sewing the film together to tell its story. From the typography to the sound effects to the quick hit jingles and cuts, this is a story being told from all angles. In fact, this approach in levity to tell the story is what makes the ability to handle this complex story easier. There are plenty of twists and turns in the movie, but it’s death that looms in the background of both Szeles and Berman’s mind that informs their decisions subconsciously and eventually makes its way into the documentary. 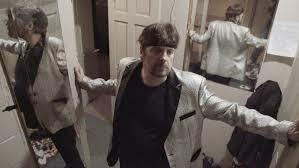 The Untitled Amazing Johnathan Documentary is transparent, original and personal in its attempt at making it to the big screen. Berman’s ability to adapt and use his resources create a once in a lifetime moment in a documentary that, otherwise, may not have been made.